Let your kids pick out their favorite fruit and make homemade yogurt popsicles! 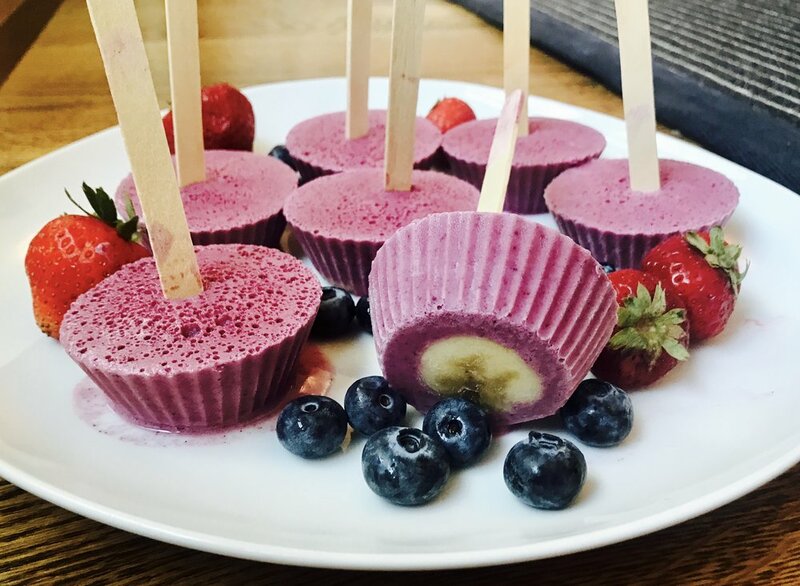 We made these with only 4 ingredients but the sky is the limit when it comes to making yogurt pops. Use your imagination and create your own delicious flavors to enjoy whenever you want! Cut the ½ banana into slices and place one at the bottom of each muffin cup. Toss the rest of the ingredients into a high-powered blender and puree. Divide mixture evenly among the cups. Put a popsicle stick in the middle of each cup and into the banana to hold the stick up. Place in freezer for 5 hours or until solid.